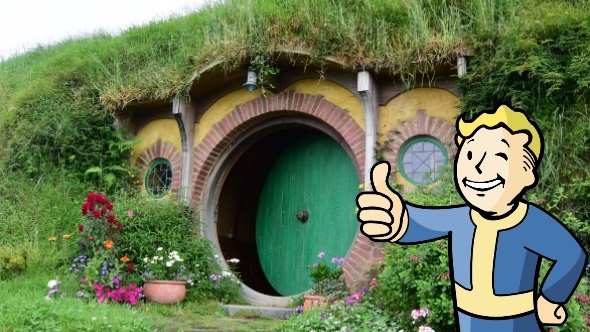 The Fallout games have taken us to several classic American locations over the years. But where will Fallout 5 be set? 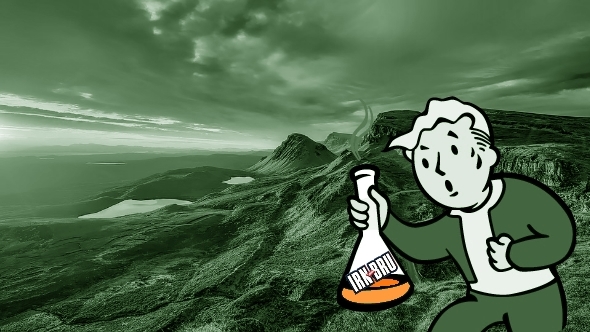 Within the game’s future setting, there are hundreds of vaults scattered across the USA, in places like Utah, Texas, and Colorado, meaning a multitude of possibilities for the Fallout 5 setting. But that’s before we even consider going further afield. How about a game set beyond the shores of America? It’s something that the PCGamesN team has been discussing, especially as Bethesda is teasing a possible new Fallout game, which we’re expecting to be revealed at E3 next month. Want to make your perfect location? 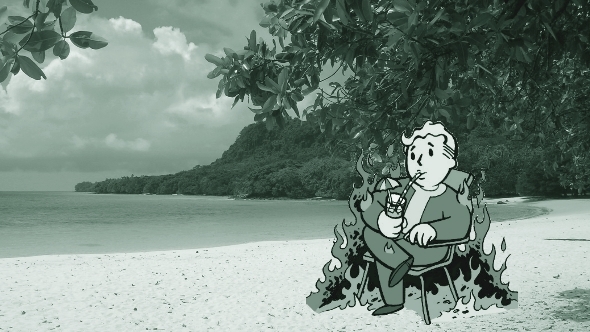 Build the world you want with these Fallout 4 mods. As such, we have come up with a few ideas for dream locations and there is no point keeping them to ourselves. That’s why we’ve put our heads together to come up with six places that we would like to see Fallout’s nuclear fire touch next. So grab your Power Armour and join us as we run through them. If skulking through the irradiated Everglades, battling behemoth alligators and mutant plant life doesn’t sound like the ideal setting for Bethesda’s next post-apocalyptic romp to you, then we are afraid we can no longer be friends. The state of Florida boasts all the essential ingredients: a dense and visually distinct urban location in Miami; a variety of ecosystems to ensure that trudging through the wasteland is not too dull; and a place in the series’ lore that has not yet been explored – but has been mentioned – the Gulf Commonwealth. 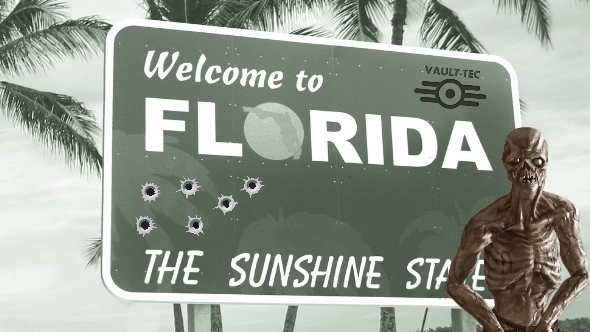 Better still, a lot of the ground work for a Florida Fallout setting has already been done as part of pre-production for the cancelled Fallout: Tactics 2. The campaign was to focus on the struggle between the Brotherhood of Steel and myriad overgrown flora and fauna created by an irradiated Garden of Eden Creation Kit. Story aside, I mostly just want to pick through the skeletal remains of South Beach’s art deco hotels and take a ferry down to Key West – and yes, I’d like that ferry to be a grossly mutated sea turtle. On Saturday, October 23, 2077, the Great War started, and in two hours it was all over. Two of the key players in this nuclear holocaust have been explored by the Fallout series – America and China – but the third power, Russia, has barely been mentioned. 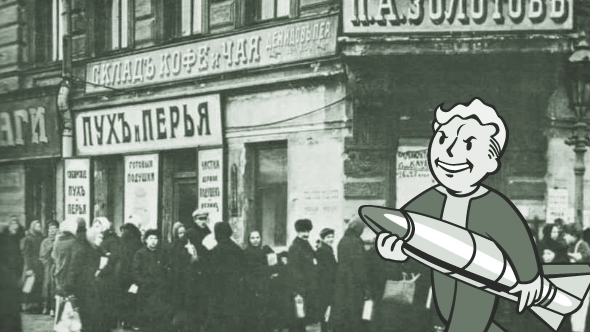 In the Fallout universe the USSR did not collapse in 1991, instead flourishing well into the 21st century, so it is time we saw what was going on in the depths of Soviet Moscow. The Atompunk retro-futurism style of Fallout is drawn from the idyllic imagery of 1950’s America, but what if the nuclear-powered technology were applied to the culture of a communist, Eastern European country? Gone are the flamboyant fenders, jolly showtunes, and cartoon mascots, replaced by the architecture of Socialist realism, Zhdanovism-influenced classical music, and the ever-present fear of the KGB. As a nuclear-ready nation, Russia presumably had their own answer to the vaults of Fallout lore (for the Oligarchs, of course), so part of the fun would be in seeing the parallels with America. However, the chance to dig into the politics of a country lacking the capitalist obsessions that Fallout frequently mocks is the real draw of Soviet Russia. What is it like to lose everything when, by default, you own pretty much nothing? The Pacific Northwest is already home to some Fallout fandom. As well as Black Isle’s two attempts to make a game set in Seattle, the Cascadia mod for Fallout 4 also transports the Wasteland to Washington. It’s an excellent idea, as heading to the North would allow developers to challenge a lot of what we think we know about the series. 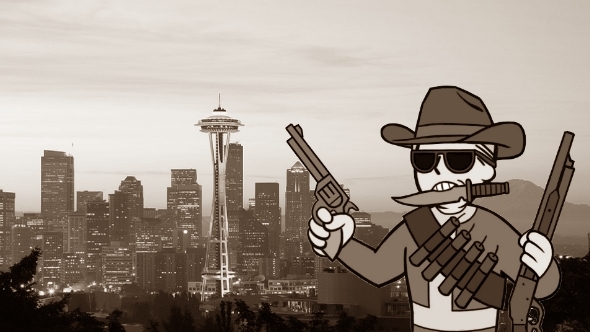 With a network of islands surrounding the city and a National Park on either side, a Fallout game set in Seattle would allow for more location diversity than any game in the series. The city is also barely 100 miles from the Canadian border, allowing Fallout to expand by giving us a taste of how the rest of the world dealt with the apocalypse. In the titanic struggle between the US and China, it’s easy to forget about Europe, or the European Commonwealth if your Fallout lore is up to scratch. The United Kingdom, France, and Italy all have their role to play in the run up to the bombs being dropped. In short, events like the Resource Wars dragged the European powers into a series of global conflicts, imbuing their cities with a rich background of Fallout’s alternative history. So, where to in Europe? Paris, obviously. With wines such as Chateau Montrose and Lafayette referenced across the Fallout games, we’d love to see a post-apocalyptic homage to The Witcher 3’s Blood and Wine DLC. At least they’ll have aged well. 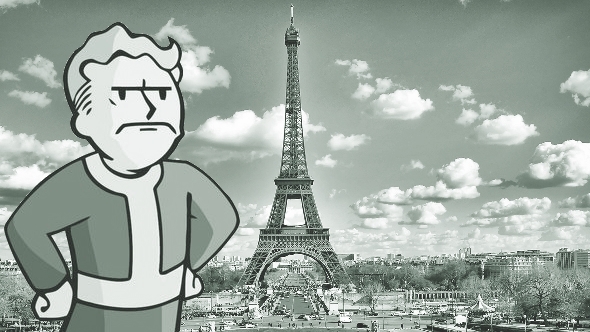 Just imagine a romantic walk along an irradiated river Seine with a handsome, ghoulish Parisian – so long as the thinly-mustachioed mudcrabs don’t get you in their pincers. We could catch up with Dead Money’s famous King of Swing, Dean Domino, in a stylish Montmartre hangout. Naturally, the iconic Eiffel Tower would still stand obstinately amidst the ravaged arrondissements, now a makeshift radio tower blaring out the comforting tones of Trois Chien. Alooorss! Just imagine it. Those incredible rolling hills. The waterways navigable by boat. Encampments established by a proud indigenous people. Bagpipes converted into horribly noisy dart guns. Erm… the Scottish Highlands would be perfect for Fallout 5, with the ruins of Inverness as its heart. But the Highland boundary needn’t be the end of it – how about a Red-Dead-Redemption-style portion of lands to the south? A slice of the Lowlands to take in Glasgow, Stirling, Edinburgh, and Dundee. Think of the collection quests, too: an entire wardrobe of kilts sporting the various family Tartans, and a bottle or barrel from every distillery. I am already salivating at the prospect of supping my whisky collection on the deck of the north-sea oil rig that forms the basis of my most ambitious settlement to date. At some point, during the development of Fallout 4, lead designer and Boston native Emil Pagliarulo snuck his childhood bedroom into the game. If you ever find yourself near the Commonwealth’s Andrew Station, you can pop in to take a peek at its comics and posters. Why anybody would do this to themselves is beyond me. My enjoyment of Fallout is wholly conditional on its atomic horror being as far removed from my real life as possible. The BBC once made a post-nuclear TV drama set in my hometown of Sheffield, UK. It’s called Threads and is critically acclaimed, but I will never, ever watch it for fear of layering my everyday existence with apocalyptic fear. For that reason, I’d like the next Fallout game to be set as far away from my house as physically possible. Which, as it turns out, means the South Island of New Zealand. It might not offer much in the way of urban exploration, but it’ll help me sleep at night.